Although the real crisis is happening in the streets of Cairo and Alexandria, the crisis facing the West is nothing short of fundamental. Stick to your idealist guns or take the realpolitik road that promises a higher degree of certainty? Fukuyama correctly observed that a consensus concerning the legitimacy of liberal democracy as a system of government had emerged throughout the world, as it conquered rival ideologies like hereditary monarchy, fascism, and most recently communism. By Fukuyama’s argument, liberal democracy has now become the rule by which all governments are judged to be civilized or primitive, liberal or tyrannical. This, I believe, is a good rule and a positive standard of judgement. The rule, though, is coming under attack, and not from those you might think. From the reaction of many in the western world, particularly the United States, it seems as though liberal democracy is something to fear rather than embrace. The stability provided by realist politics seems to be valued more highly than the political ideals enshrined in our liberal democratic tradition. Who wants a liberal democratic Egypt if it allows those to come to power who might not serve our national interest so well? What good, then, would be the liberal democratic rule? Western leaders must be asking themselves this question at the moment. Go against the liberal democratic rule by supporting Hosni Mubarak, the beleaguered autocratic Egyptian president who has supported the West’s agenda since coming to power in 1981, or support the Egyptian people’s desire for democratic government, thereby opening the door to those who may not be so supportive of their goals? Western media is misreporting the role of both labor and the Muslim Brotherhood, understating the role of the former and overstating the role of the latter. The agenda is to obscure socioeconomic grievances and promote the narrative that the choice is between an authoritarian but secular government, or a democracy that will bring Islamists – code for the Taliban – to state power. The corollary is that people are not in the streets struggling for social revolution but to put in place a variant of Islamofascism. Thus, people shrug, the revolt must be drowned in blood. It would seem as though many believe liberal democracy does not have the fortitude to combat Islamofascism. It would seem that many also believe that the only way to combat Islamofascism is to support “primitive” autocratic and oppressive regimes which have the fortitude to use tyrannical methods to suppress their own people in the name of stability in a way that we in the West are too “civilized” to engage in ourselves. The choice, then, seems simple: the West must support the certainty provided by outsourced oppression rather than the uncertainty involved in encouraging true freedom. That is the substance of any realpolitik position: When faced with the possibility of uncertainty I must take the path that serves my interests with the most certainty. The tone of many Western leaders has changed since the beginning of the Egyptian situation. The Obama administration has taken to calling for “a clear path to democracy,” but the initial hesitation should not be lost on anyone. Memories fade quickly, especially when it is in your interest to let them fade. Gone are the days of the Bush administration advocating the spread of democracy at the barrel of a gun, and in with the days of hesitating to support democracy at the will of a people. 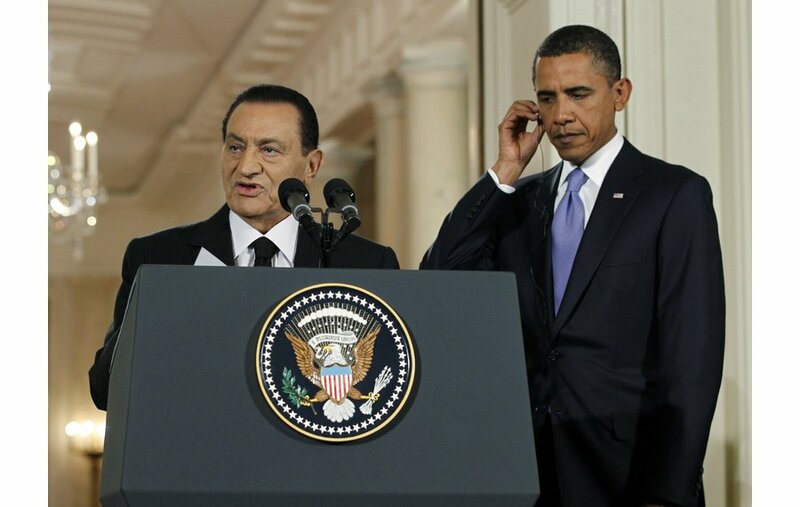 Egypt’s President Mubarak has been a key regional allie of the U.S., most notably in supporting peace with Israel. The sentiment expressed by The Economist is one which sticks to political ideals. The uncertainty involved in supporting a liberal democracy in Egypt which truly represents the will of the people does bring the potential of a government coming to power that does not support the West’s goals as fervently as Mr. Mubarak. But if the rule of liberal democracy is not the road to individual freedom that we in the West have supposed it to be, of what good is the liberal democratic rule anyway? And if we are not going to fully support a people’s wish for democracy unless it suits our national interest to do so, what right do we have to speak with authority about liberal democracy and the fundamental freedoms we enjoy? Principled action takes courage, and courage is usually involved in activity that comes with a heavy dose of uncertainty. 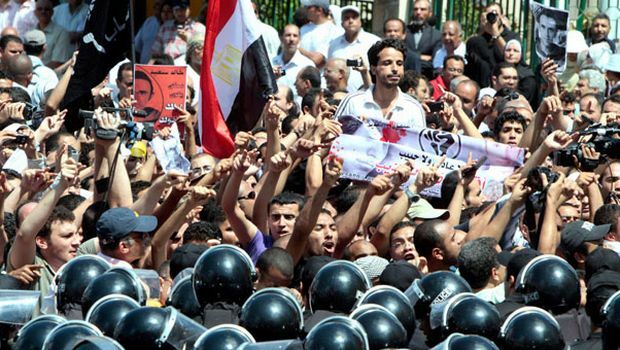 Putting faith in the liberal democratic process in Egypt is going to take a whole lot of courage. But I for one believe it is a positive political ideal in which to put my faith.